RPCS3 April 2018 progress report in a nutshell: Finishing touches to the RPCS3 wiki, Core & Rendering Improvements, Discord Integration, improvements to Drakengard 3/Demon’s Souls and much more! 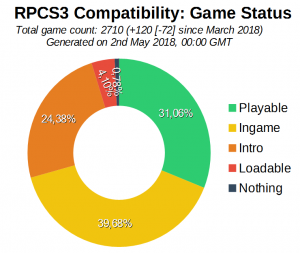 Contrary to other months, last April’s RPCS3 progress report took quite a while to be published but as they say, it’s better late than never. This article is here to condense down the team’s hard work into a shorter and perhaps more pleasant read for the average emulation fan. 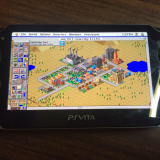 A whole slew of rendering fixes by kd-11, the emulator’s lead graphics developer. 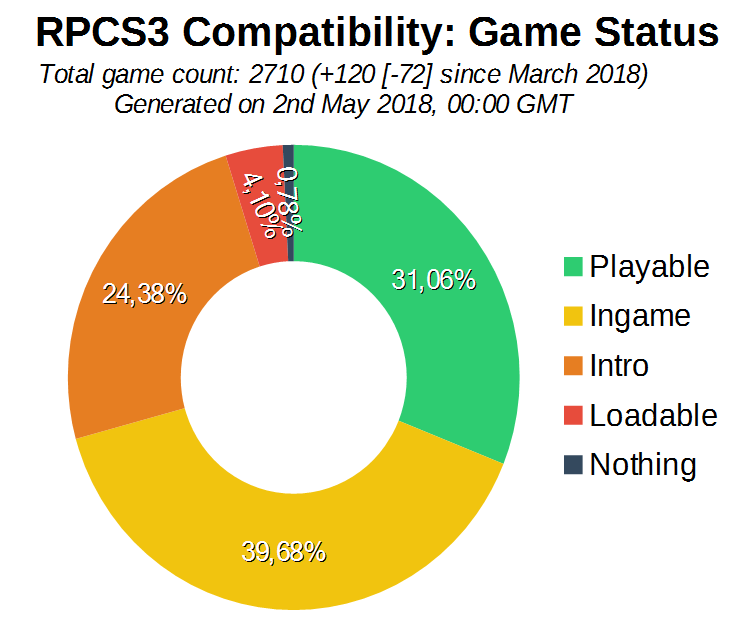 As usual, RPCS3 progress reports always have their progress charts! 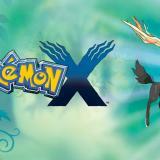 This time, the playable category saw an addition of over 133 titles. 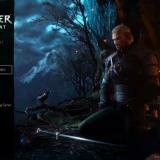 These include fixes to colour buffers, texture caching and reflections in games among others. The introduction of SPU ASMJIT 2.0. This provides better performance and compatibility in some games, such as Yakuza 3, since PS3 instructions are now translated into x86 ones in a much more efficient manner. Improvements related to how the TSX instruction, which is found in Sky Lake and newer Intel CPUs, is utilised. The RPCS3 wiki was finalised and now accepts contributions from regular users. This means that normal users can now share tips on which game-specific settings are the best and how well the game works on specific hardware! Discord Rich Presence has now been integrated into RPCS3 so your gaming stats can be directly fed to Discord. 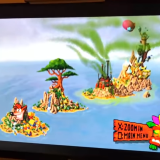 Fixes related to OpenGL textures, writing Colour Buffers in Vulkan rendering mode and colour mask decoding. The latter two provide very noticeable improvements since colours are now being represented correctly in some games such as GRID and God Of War 3. Improvements to how reflections are emulated and outputted. 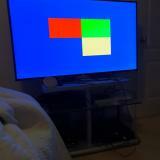 The addition of a proper Z-curve decoder which translates into better colour palette accuracy in games such as Skate 2. 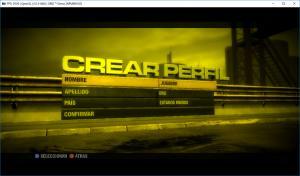 These rendering improvements are complemented with improvements to SPU emulation which brings about better performance. With Nekotekina’s work, the emulator had its SPU instruction translator updated to be more efficient and compatible with what is thrown at it. The main beneficiaries will be AVX enabled CPUs which means almost every CPU released in the last 6 years from both Intel and AMD. Speaking of CPU instructions, there were also some performance improvements related to the improved utilisation of the TSX instructions found in recent Intel CPUs. Apart from the usual core and rendering improvements, this month also saw updates to features that are intended to make the end-user’s life easier such as the Wiki and Discord integration. Thanks to work by Ani and HerrHulaHoop, the RPCS3 wiki has been finalised and has opened its doors to contributions from regular users. The wiki will contain pages about individual games which include both basic information (what you find on Wikipedia) and RPCS3 specific instructions/quirks. It will also contain some FAQ pages to make the life of newbies easier! 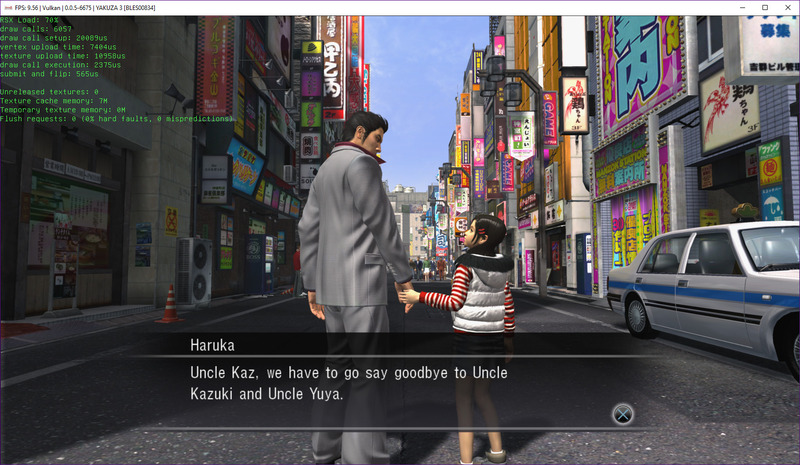 Yakuza 3, a Playstation exclusive, saw some performance improvements this month! Drakengard 3 can now be played from beginning to end. The Last Of Us has gone in-game! Lollipop Chainsaw Massacre saw a crash being fixed to make it perfectly playable. Other games such as Yakuza 3, Ni No Kuni, Skate 1/2 and Life Is Strange. To find more about what the RPCS3 folks have been up to and look at some great screenshots, simply follow the link below. 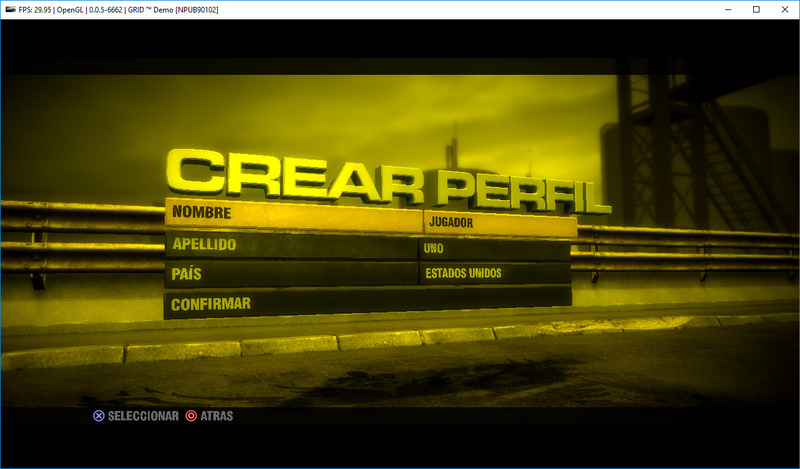 So, now you can play Grid 3 in spanish? 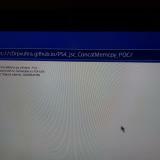 Once perfected, theoretically developers could integrate RPCS3 into a PS4 custom firmware container or something (like how you can have a bubble on the Vita and it calls up a PSP ISO/CSO without needing to boot into Adrenaline) and launch and would allow you to play PS3 game ISOs, right? I’m just imagining the possibilities as hacks get better. Nah not even the pro is strong enough, its the same cpu but overclocked. Does this emulator perfectly reproduces the 20 FPS of Drakengard 3?! or shall it imperfectly increase the framerate?! The answer to this important question will be revealed next month – stay tuned!